SIDMOUTH stormed to a 50-run win over Exeter in the golden jubilee Euro Shopper Devon Cup final to complete the county double. The Premier Division title was already in the bag before Sidmouth came unstuck by 195 runs at Torquay seven days earlier. It was business as usual at Tavistock on Sunday for Sidmouth, who hurtled to 206 for seven in a final reduced to 25 overs a side due to wet weather, then kept Exeter to 156 for seven in reply. The city side needed 100 to win off the last eight overs when Dom Bess got out and that was too tall an order. Sidmouth opener Matt Cooke was in and out by the end of the second over, which brought skipper Luke Bess in to join Liam Lewis. Zak, brother of Luke and therefore cousin of Dom, was the supporting partner as Lewis whacked the next 32 runs in a third-wicket stand of 46. There was a brief stumble as Lewis, Zak Bess and Henry Gater all went in the space of four balls to either Dom Bess (3-32) or Ben Green (2-44). 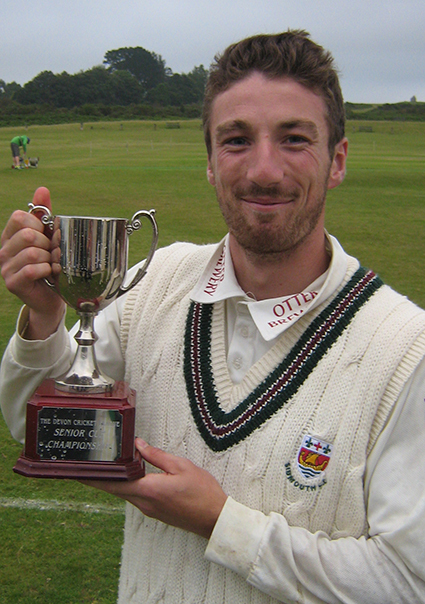 Lewis, later named as man of the match, hit seven fours and a six from 60 balls faced on his way to a top score of 75. Sidmouth were at a potential stall point when Kyle Brockley was bowled by Ollie Sale (2-41). Before Exeter could get too much of a toehold in the game, Sidmouth, picked up the tempo as Harvey Sargent (33) and Will Murray (20) put on 55 in the final five overs. Exeter got just the start they didn’t want when Somerset and England U19 star Green got out in the second over and Rob Holman was run-out by half a pitch-length soon after. Alex Barrow (27) and captain Miles Lenygon put on 39 and for a while it seemed Exeter had a chance. When Lewis dived to catch Barrow off Brockley, Exeter still had their second England U19 star Dom Bess to come. Lenygon and Dom Bess added 47 and had they stayed together a bit longer who knows what the outcome would have been. Dom Bess went for 33 off 27 balls – caught by Zak after having a swish at spinner Charlie Miles – and that was 103 for four in the 17th and game over. Lenygon went on to make 50 off 49 balls. He was stumped after walking out to drive Scott Barlow (3-28). 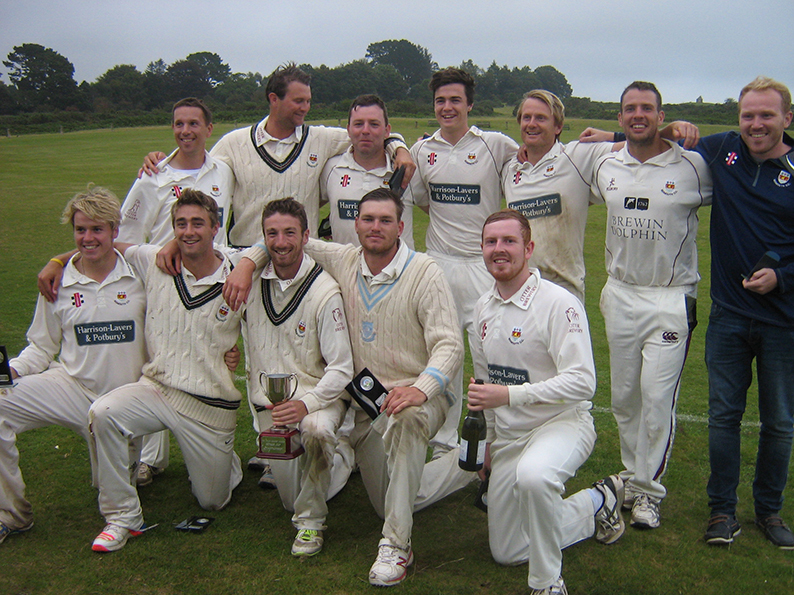 It was Sidmouth’s fourth league and cup double since 2009. They also did it in 2011, 2012 and 2014. Winning captain Luke Bess praised Lewis for his contribution, but didn’t forget Sargent either. “We batted them out of the game and a lot of that was down to Liam’s innings,” said Bess. “Liam put is in such a good position we were able to cope with that stumble in the middle when we lost four wickets quickly. Lenygon, who has now lost two Devon Cup finals to Sidmouth, had no real complaints afterwards. 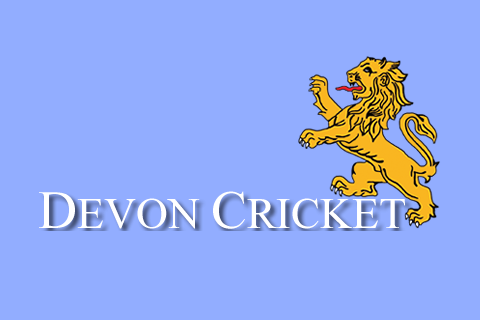 “Coming down to 25 overs a side did us no favours and probably helped Sidmouth,” said Lenygon. 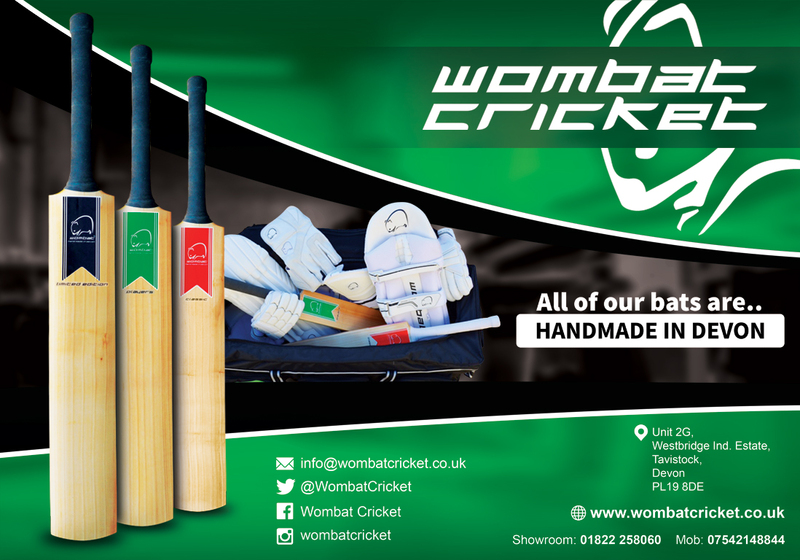 “Sidmouth have got big hitters who can get on with it – as Liam showed. Sidmouth 206-7 (L J Lewis 75, L F O Bess 44, H J Sargent 33; D M Bess 3-32), O R T Sale 2-41, B G F Green 2-43), Exeter 156-7 (M H Lenygon 50, D M Bess 30, A W R Barrow 27; S Barlow 3-28). Sidmouth bt Exeter by 50 runs.